HIGH The surprisingly moving story. LOW One-hit kills get old really quickly. WTF Being able to switch between over ten color palettes on the fly. Humanity, culture, family, and hope were not what I was expecting when I saw Save me Mr. Tako for the first time. 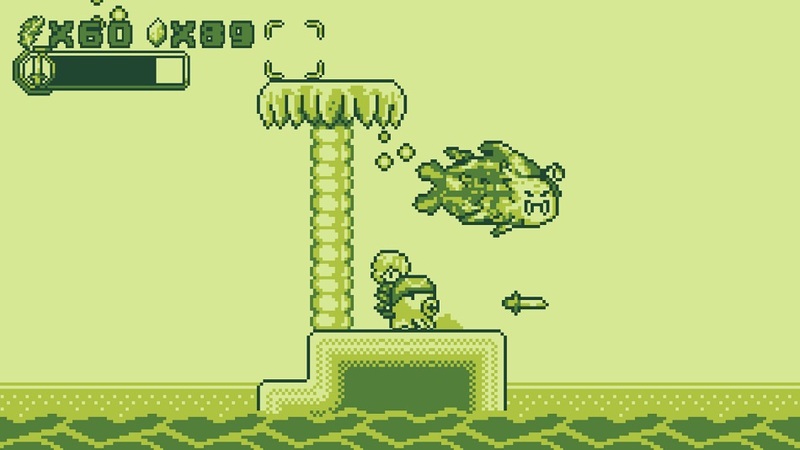 Developed by Nicalis, Inc., this cutesy side-scrolling platformer is a clear homage to the Game Boy era. The 8-bit graphics are true to their inspiration and the soundtrack and story are stellar, but the whole affair overstays its welcome. 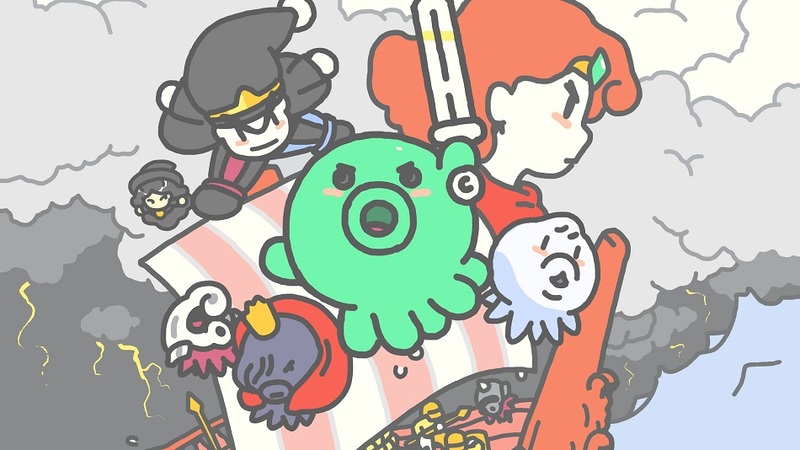 Playing as the titular octopus, Mr. Tako, players must work to stop a war between octopi and humans, which I’ll get to later on. 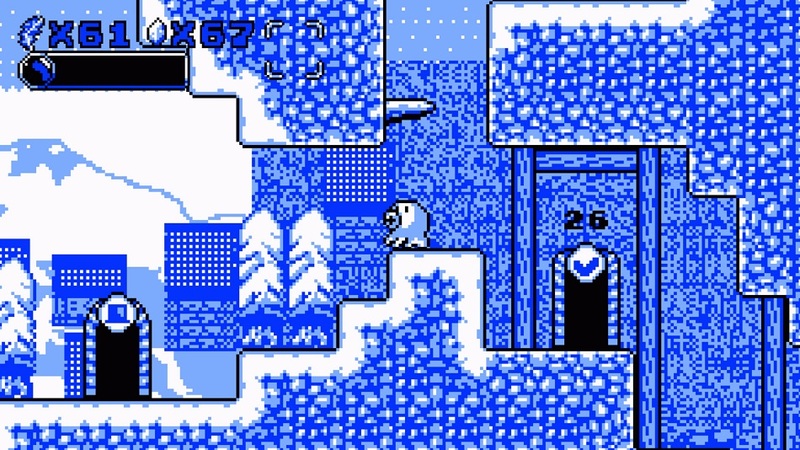 Gameplay here is basic with a capital “B.” Mr. Tako can jump and shoot ink to freeze enemies which turns them into platforms to jump on, and that’s pretty much it. The character moves at a good speed, and both jumping and shooting feel tight — all around, these are solid controls. Also, our heroic cephalopod dies in one hit if he isn’t wearing one of 50 hats that alter his attack, health, or hitbox. However, these changes act more like difficulty adjustments than mechanics as the majority of stages seem to be playable without a hat. I personally took the umbrella hat with me everywhere so I wouldn’t have to worry about enemies or attacks hitting me from above. Fortunately, quality-of-life hats like this come in handy for some of the more frustrating platforming sequences and boss fights that put players in tight or overly busy spaces … of which there are many. Being in a corridor with multiple enemies moving at different speeds with almost no room to jump isn’t a good time, so wearing a hat to get an extra hit point felt necessary to me. Interestingly, while the premise of a human/octopus war felt comical at first, I found myself more invested in the story than anything else. 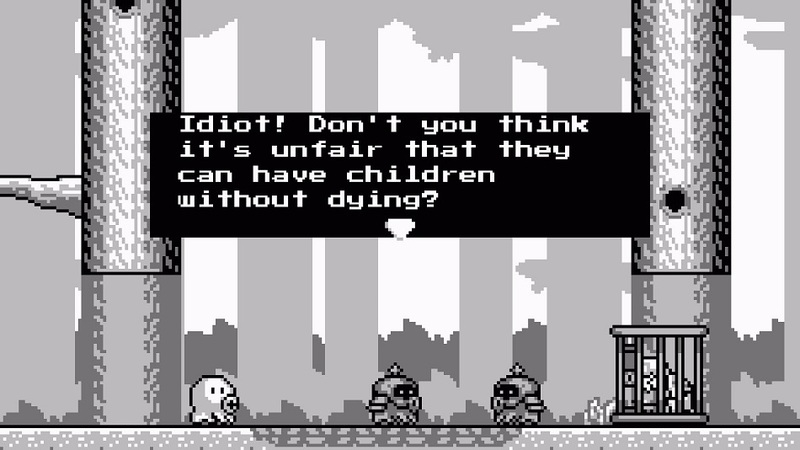 The game opens with octopi waging war on the humans, but after Mr. Tako abandons his troop to save a human, Mr. Tako is seen as not only deserting his country (so-to-speak) but his family as well. Shunned by octopi and humans alike, Mr. Tako had no real place to belong, all because he wanted peace. A lot of the dialogue in SMMT is poignant and relevant today, with discussions of how “Culture and faith have been replaced by war” and how humans with values don’t abandon those in need. It may sound like I’m reading too much into it, but even the description on the store page asks “Will you help this brave octopus to spread his message of tolerance and unity?” It doesn’t feel like a stretch to say that the moral of the story here is that acceptance and cooperation bring real peace. The message is clear and its positivity welcome. It was also the only thing that kept me playing SMMT because, good lord, platforming off of stunned enemies got tiresome. Maybe I’m just spoiled by the bells and whistles of modern gaming, but the charm of SMMT‘s simplicity wore thin in a hurry. Even the sidequests and minigames that help flesh out the world a little more ended up feeling bland when they all offered only more of the same jumping and shooting and jumping I was already weary of. Disclosures: This game is developed by Christophe Galati, Nicalis Inc. and published by Nicalis, Inc. It is currently available on PC and Nintendo Switch. This copy of the game was obtained via publisher and reviewed on the Switch. Approximately 10 hours of play were devoted to the single-player mode, and the game was not completed. There are no multiplayer modes. Parents: According to the ESRB, this game is rated E10+ and contains Fantasy Violence and Mild Language. This game may target older gamers’ nostalgia, but it’s still a great fit for kids. All around, a wholesome experience. Colorblind Modes: There are no dedicated colorblind modes available in the options, but players can switch between a good handful of color palettes with all sorts of different color pairings. Deaf & Hard of Hearing Gamers: Everything checks out here. Enemies don’t fire at players when they’re offscreen and all threats are clear to see with the basic graphics. No audio cues are necessary for play. It’s fully accessible. Remappable Controls: No, this game’s controls are not remappable. There is no control diagram. On Switch, B is jump and Y and A fire Mr. Tako’s attack. Judging by this review the game SMMT (Save Me Mr Tako Tasukete Tako San) seems pretty solid. It looks like it has plenty of play through value because it has over 50 hats. Although I have not played this game and have no idea the capabilities of those hats. Furthermore, it is nice that this game is accessible to those who are hard of hearing. This is a feature I do not see too often in modern games. But the biggest question is what happens at the end?